Buckets, Beach, and Boys...there is nothing more tempting for adventurous boys than a bucket full of water ready to conquer and win with a surprise splash! Last week I shared summer fun beach ideas: SandBox Lunches, Sun Safety Baskets, and lots of water fight action. This photo was my favorite! I am adding it to the weekly I HEART FACES beach fun theme. 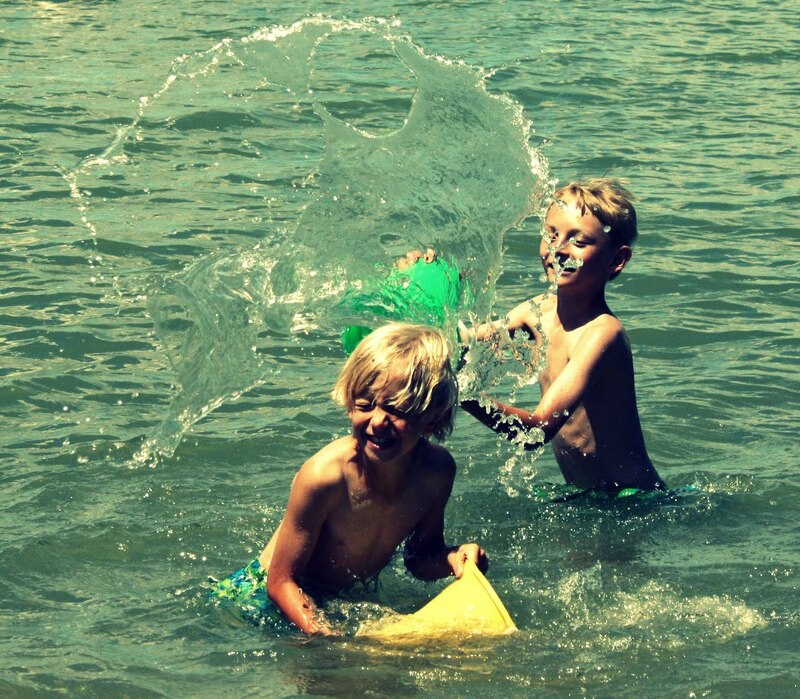 You can visit I HEART FACES and add your favorite BEACH FUN photo that you've captured this summer too! GREAT shot, I love the colors in it. Wow Lisa, you are amazing. I have been out of town for a while, so I have been trying to catch up on all of your posts. You are one awesome mama! that photograph is priceless! We get one more beach day in before school starts! Great capture! Nice vintage processing, too! I LOVE THIS!... what a great, real, moment for these boys... way to capture childhood! great work! Where were you guys able to go to the beach at? Oh, I love this photo!!! Such a beautiful shot! Love the colors. So pretty. What an incredible link love list! Priceless - a photo to treasure forever! Your blog article is very interesting and fantastic, at the same time the blog theme is unique and perfect, great job visit here.